EstateExec is collating a list of estate attorneys so our consumer executors can easily find legal help as they need it. Free — There is no charge to the attorney for this listing, or to the consumer. We simply provide a list of local attorneys to consumers in their time of need, and they take it from there. No Advertising — We do not rent or sell information about our users or attorneys. We do not show ads alongside your name. We make money by licensing use of our software. 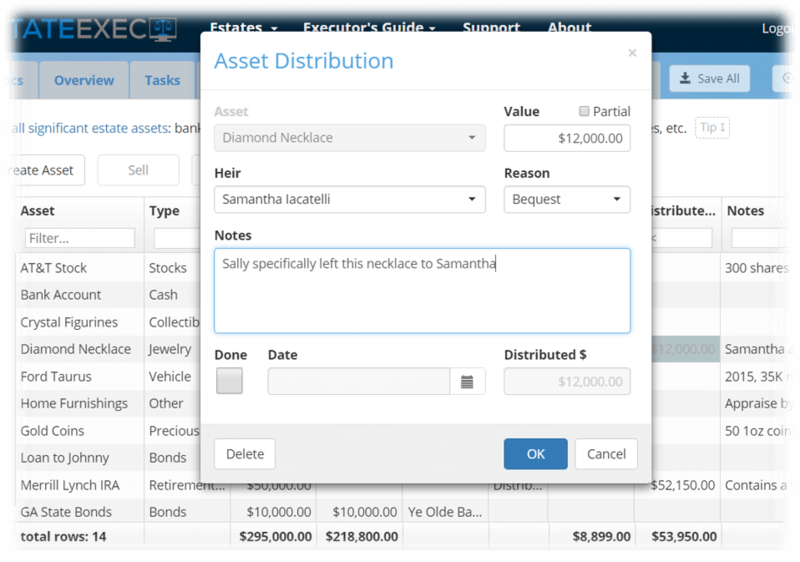 Reciprocal Listing — It's not required, but we would appreciate it if you would mention EstateExec somewhere on your web site. Limited — To keep things manageable for our users, we limit listings to 3 - 5 firms per county, depending on population. Please contact us as soon as possible if you'd like to claim a spot. It's free. 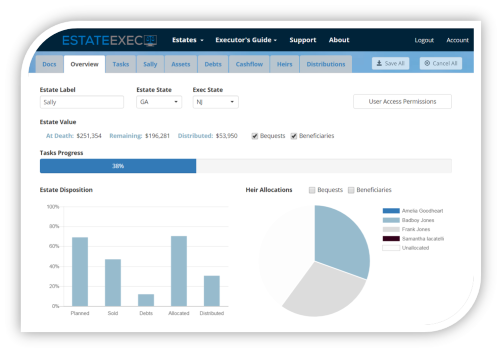 EstateExec™ online software helps lawyers (and consumers) administer estates and trusts. Come join the 21st century!